Yancoal announced it will close two mines in the Hunter Valley over the festive period as the company tries to save money amid falling coal prices. Yesterday the company announced both Stratford and Duralie mines at Gloucestor would close for a fortnight over Christmas. Full-time employees will be paid for the shutdown period, but it is believed contractors and casual workers are set to miss out, the Newcastle Herald reported. Construction, Forestry, Mining and Energy Union district president Peter Jordan said the decision was disappointing. ‘‘I don’t think people object to having time off over Christmas, but in this case it’s just the way the company has gone about it,’’ Jordan said. 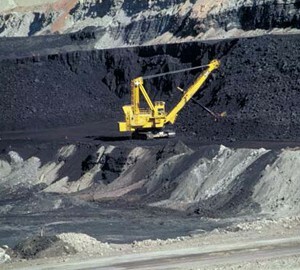 Jordan said that lower prices were hurting coal companies. 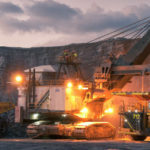 Yancoal’s investor relations manager Ian McAleese said the Stratford and Duralie mines had hundreds of thousands of tonnes of stockpiled coal at the mines, with no room to store any more. 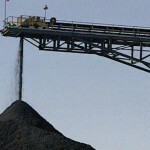 With coal prices falling in recent months, Yancoal told the stock exchange it was expecting to lose about $53million in the three months to the end of September. McAleese said that ‘take or pay’ contracts signed by coal companies in the Hunter to finance the expansion of port and rail systems were making it more expensive to cut production. Under the contracts, companies must state their sales in advance and agree to pay the charges, estimated to be $4.50 to $6 a tonne, even if they sold less. Yancoal told the stock exchange that its ‘‘take or pay’’ losses were having ‘‘an impact on the financial performance of the company’’. The move comes as Vale Australia move to cut jobs from the Camberwell open-cut mine. Gunnedah-based Whitehaven Coal has also warned investors of the issues facing the sector at the company’s annual general meeting last week. The company said that once state government royalties and currency exchange losses were factored into coal prices, Whitehaven and other Newcastle exporters were probably earning about $72 a tonne for steaming coal, which was ‘‘not sustainable for most Australian producers’’.